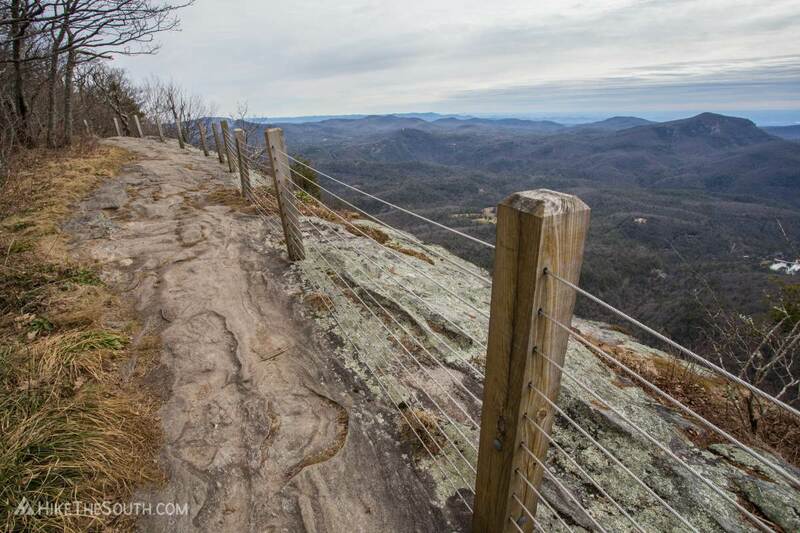 Navigate your way to insane views on the precipice of Devil's Courthouse on this mile side trail to the popular Whiteside Mountain loop trail. 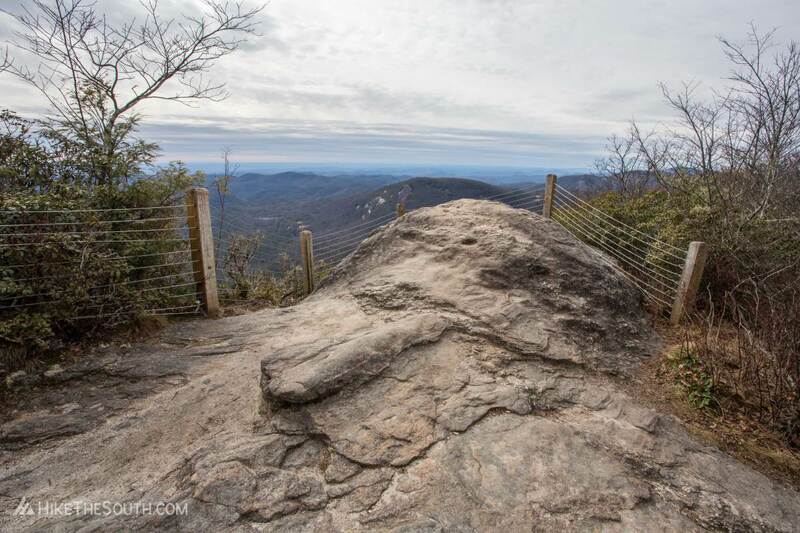 Enjoy some of the best views in the Nantahala National Forest on Whiteside Mountain, then get lost (literally) along the way to Devil's Courthouse for even more expansive views. 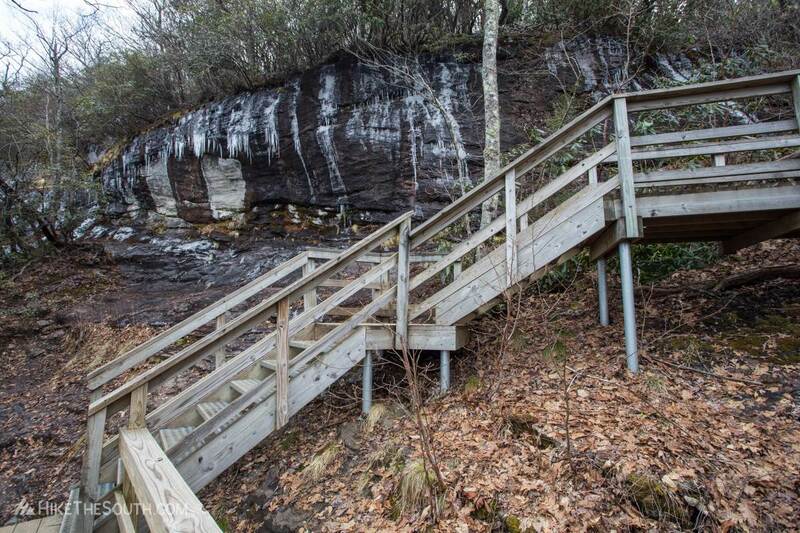 From the trailhead, the hike heads up a set of steps to connect to an old road. Turn left here. Shortly after this, look for a narrow trail on the right with a post marker for the loop. This is the steeper way up, which this page describes. For an easier hike, continue on the gravel road. 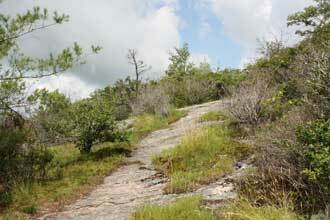 Hike up a series of steep switchbacks, ignore a few obvious side trails. 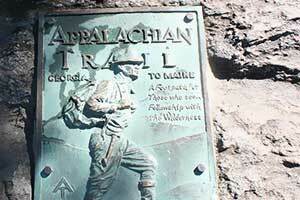 The trail gains elevation at a rate of almost 900 ft/mile. A series of wood steps helps you along a particularly steep section. 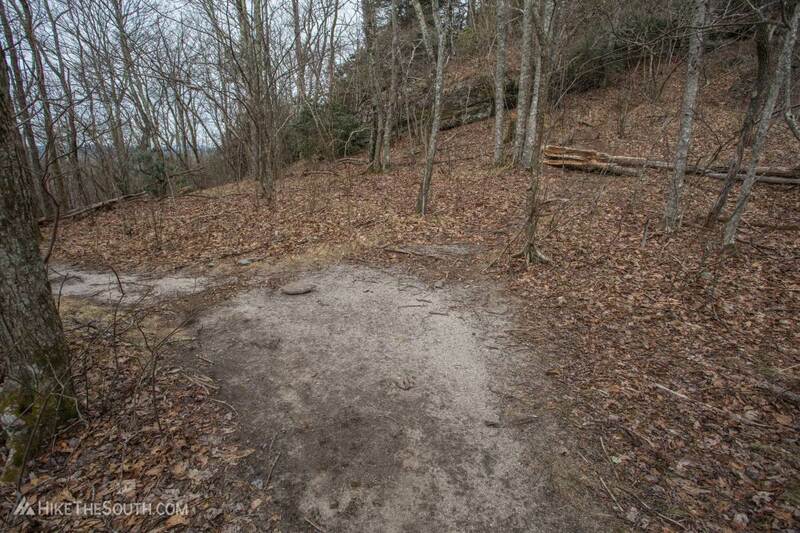 At one point, the trail splits, but rejoins shortly afterward. It would help if the blazes weren't so sporadic. 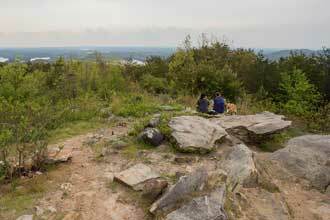 At .6 miles you'll come to your first real view. And then another after that. And after that. 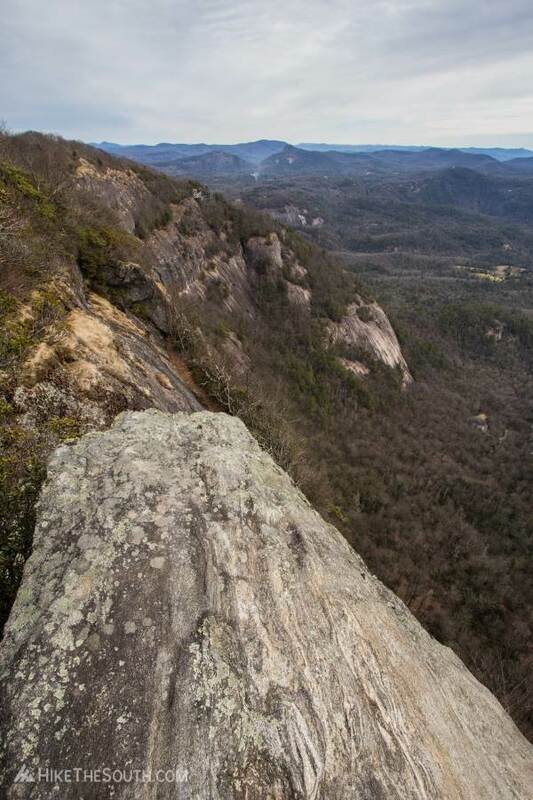 For the majority of a half mile you'll enjoy back-to-back views along the 1000 foot high cliffs of Whiteside Mountain. Several information signs are scattered along this section. Look for the summit, a rock mound at a fence corner. 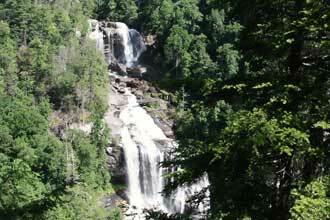 Just after this, a small hidden view awaits for those that climb down a narrow crack in the rocks along the way. Don't worry, it's fenced as well. Pass more views and an observation deck before the trail starts to turn away to the left, beginning it's descent back to the trailhead. Ignore a side trail going uphill on the way back down, staying to the outside of the loop. But, before turning back, look for an unmarked side trail behind the information sign for "Straddling the Continental Divide". 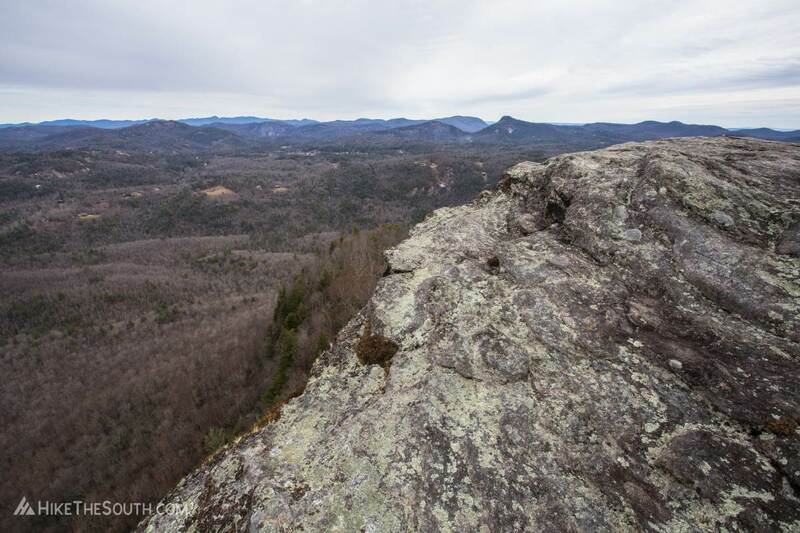 On the way to Devil's Courthouse, there a too many side trails to describe. The 3 below are the ones that tripped me up. I took one side trail for a half-mile in the wrong direction. A GPS is advised to at least backtrack to the main trail. 1. 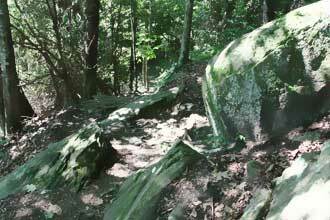 About 200 feet down the trail, a slanted rock makes it look like you should stay to the right along side it. 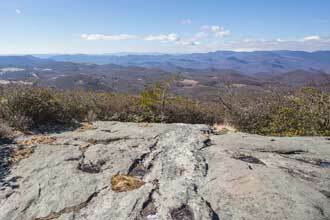 Instead, walk along the top of the rock to the left. I didn't even see the left trail until passing it. See images. 2. 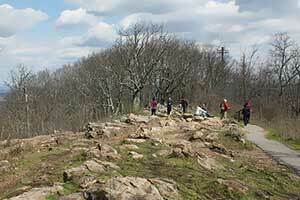 At .3 miles you'll finish descending and arrive at a small gap with the hill rising directly in front of you. The "main" trail looks like it makes a hard left. Instead, go straight toward the hill. There were a couple logs blocking the trail when I went. See images. 3. Just after the previous intersection at the gap, stay right, a side trail heads around to the left. Right continues uphill. Another 300 feet and there are a few side trails to a small grassy field with views looking toward Whiteside Mountain and the hill you just descended. 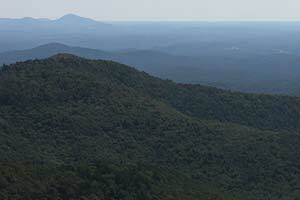 Continue on a few more feet to the Devil's Courthouse overlook. Take caution here as there are no fences or railings and a fall will most certainly be fatal. Be wary of strong winds and take extreme caution with children and pets, but I would not advise you to bring them here. 20-30 depending on how bad people park. 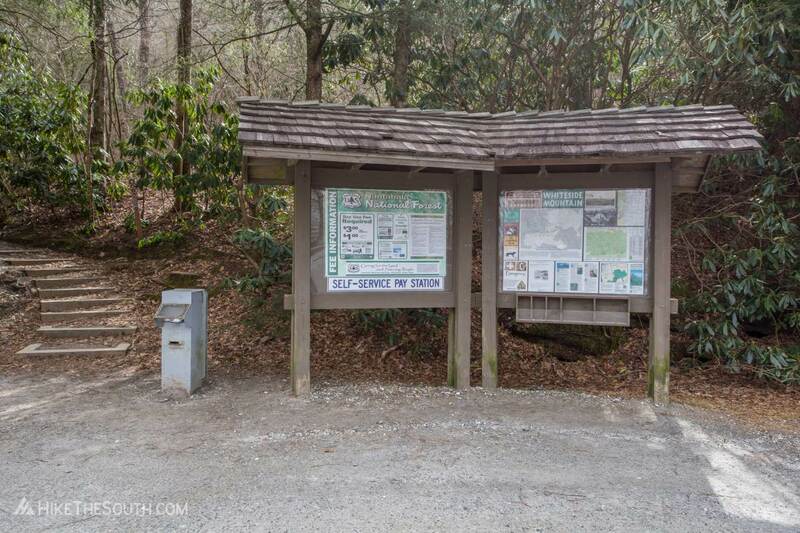 Restrooms are available at the trailhead. 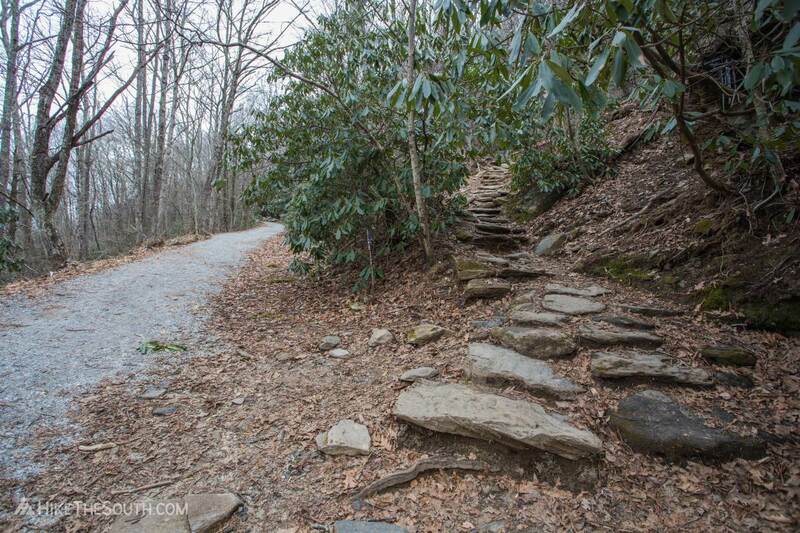 Several rocky sections that can be hazardous if wet or icy. 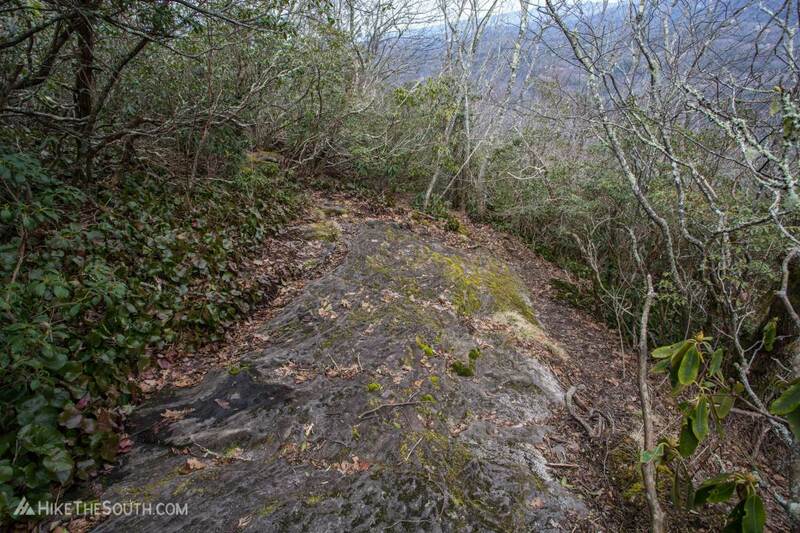 The trail to Devil's Courthouse is significantly more difficult than the main loop. 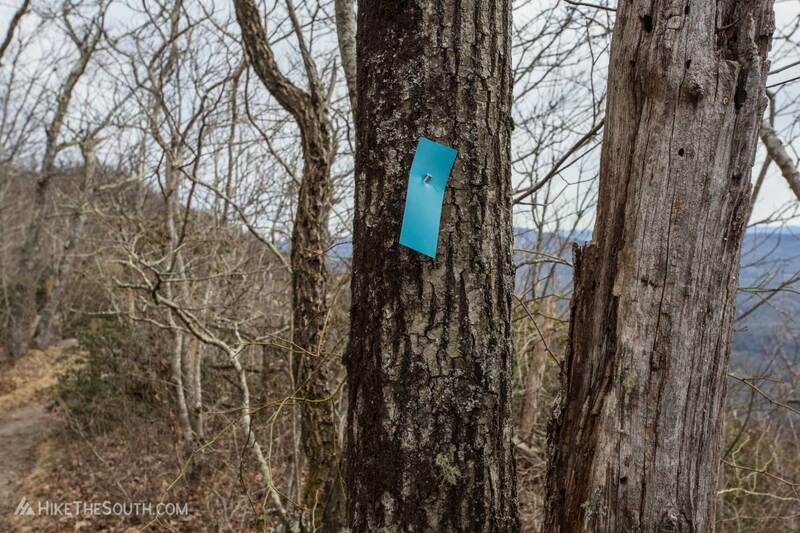 No blazes and numerous side trails make navigation extremely difficult. See description for detailed directions, but a GPS is advised to at least backtrack to the main trail. 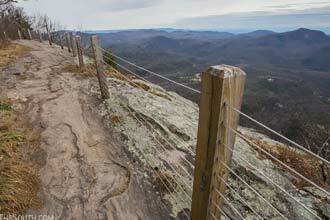 At Devil's Courthouse, there are no barriers to stop you from falling. Be extremely careful. 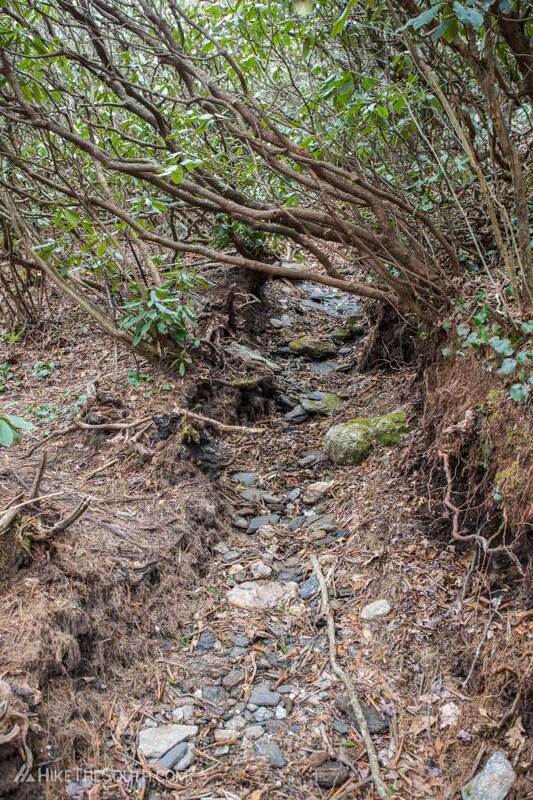 High winds and wet rock can be extremely dangerous. Not advised for children or pets. 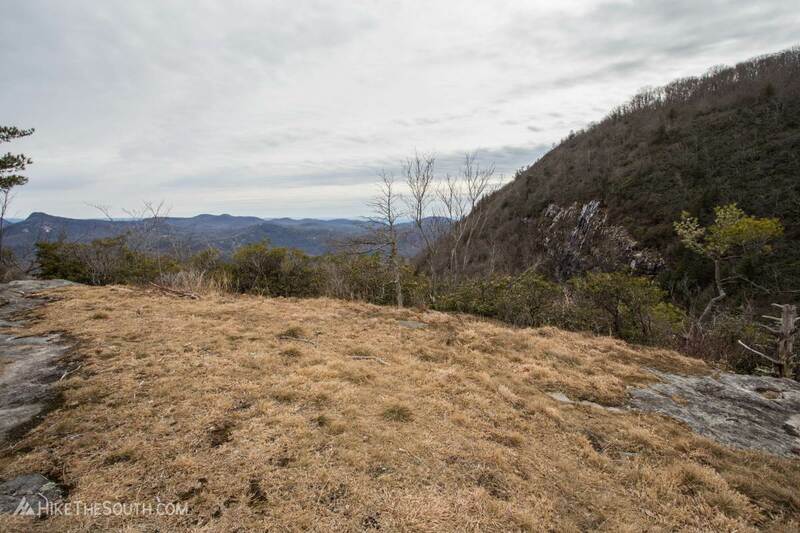 The Whiteside Mountain loop section of this hike is fantastic. Amazing views for an easy trail. There are side trails, but the main path is easy to stay on. You can't say the same for the Devil's Courthouse addition. No blazes. Lots of side trails. See description and images above for navigation, but there are way too many side trails to list them all. Finally, a good use of carbs...leave a breadcrumb trail as you go!